Ode to Spilled Milk: Give Us 5 Minutes and We’ll Give You a Clean Car - E-Cloth Inc.
By this point in the summer, you’ve probably had it. Had it with the constant in and out of the car seat or stroller on your way to one adventure or another. That inevitably means monster toddler messes of one kind or another. If you are like us, by August, you get that faint hint of spoiled milk when you crawl into the car on a hot day. That’s the sure sign that IT’S TIME! Allison at Loving Living Lancaster, one of our amazing regular blog partners, wrote about this very thing just last week! “As moms, we are constantly battling messes of all shapes, sizes and grossness. 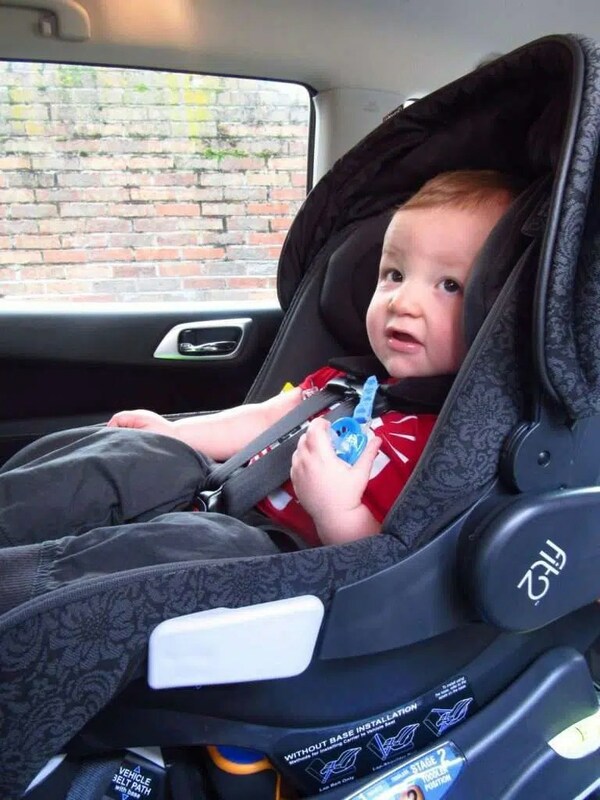 One of the grossest pieces of baby gear is the car seat.” Keep reading below to find out what she does to clean her little guys’ car seat – so he’s in a clean and safe environment! As moms, we are constantly battling messes of all shapes, sizes and grossness. One of the grossest pieces of baby gear is the car seat. Especially once your little one hits ‘toddler age’. I am constantly amazed at just how dirty an 18 month old can get in a short amount of time. Whether it’s ice cream running down his face or dirt and grass stuck to his clothes, it seems like Levi stays dirty (yes, I do bathe him!). Even though I try to be careful about not allowing snacks in the car, it somehow still seems to get dirty and sticky, and the stroller? Even worse! The car seat and stroller are two pieces of baby gear that no one really teaches you how to clean or even talks about cleaning, but it’s important to keep them clean not only so that your car doesn’t smell like rancid milk but also for your child’s safety! Your car seat and stroller instruction manuals should have information in them regarding the proper care and cleaning for each specific model. For example, our car seat has a zip off cover that can be thrown in the washing machine. It’s highly important to read these instructions before cleaning any piece of baby gear, but especially the car seat. If your car seat is like ours and has the removable cover, remove the cover, hand wash and line dry. These careful steps will prevent the cover from shrinking or stretching. For your stroller, it’s likely that you won’t be able to remove a cover, so wipe the fabric with hot water and an e-cloth® Stroller & Car Seat Cloth. Again, this is more important for the car seat, but also important for the stroller. NEVER use soap or cleaners on the buckles, these can prevent the buckles from latching properly. Wipe the buckle with the e-cloth® Stroller & Car Seat Cloth and allow to air dry. After you have used your e-cloth® Stroller & Car Seat Cloth to clean the car seat and stroller properly, why not freshen up your gear a bit? I like to add a few drops of lavender essential oil mixed with water and spritz the car seat fabric (again, not the buckles) for a fresh scent that isn’t overpowering. We absolutely love our e-cloth® products and this is probably one of my favorite ones they make! It meets car seat manufacturer cleaning guidelines and mom’s requirements for a truly clean seat, the Stroller & Car Seat Cloth removes over 99% of bacteria from hard surfaces and scrubs away dirt from cloth using just water – no soaps, no chemical residue. e-cloth® products are now available at your local Ace Hardware as well as online. MORE CLEANING TIPS WITH E-CLOTH® HERE !